Soap production is all about good clean fun but caution must be taken with the use of highly corrosive lye (NaOH). Soap is made through a series of chemical reactions involving acids (fats and oils) and bases (solution of NaOH and H2O called lye). The reactions that produce soap are known as saponification. 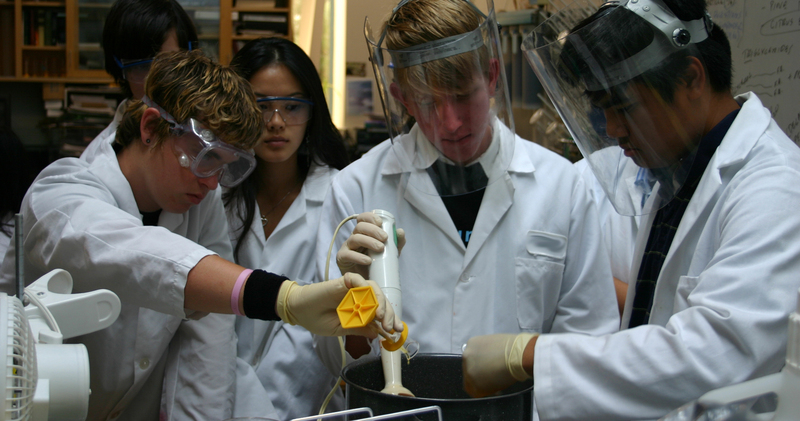 These reactions result in the products of soap and glycerin. Interestingly, commercial soap companies sell the glycerin separately, thereby raising profits. 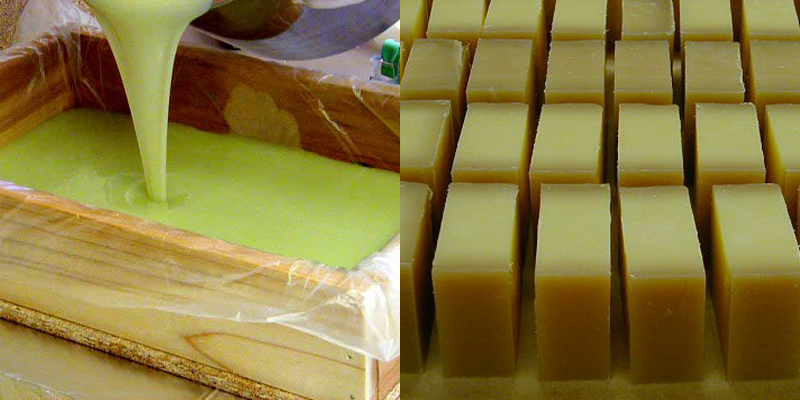 In cold-processed soap the glycerin is maintained and enhances the moisturizing properties of soap. After pouring cold-processed soap into a mold it is dropped out after a day, cut into bars, and then left to cure for 28 days. Good clean fun!